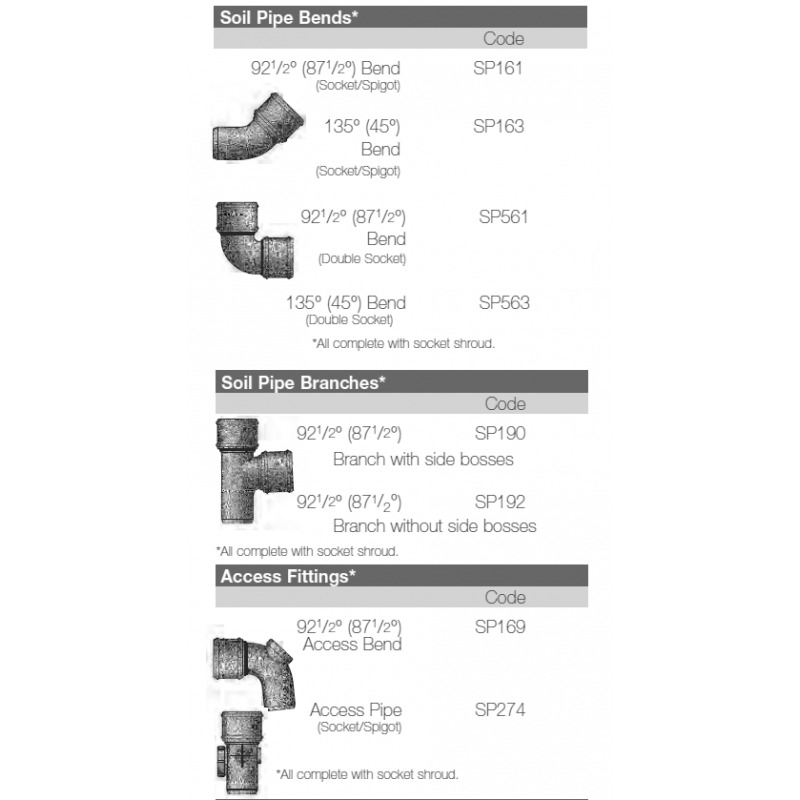 The “Cast Iron” Style Soil Systems offer the authentic look of Cast Iron with all the benefits of PVC. This soil system complements the extremely successful Half Round, Hi-Cap and Niagara “Cast Iron” Style Rainwater Systems. 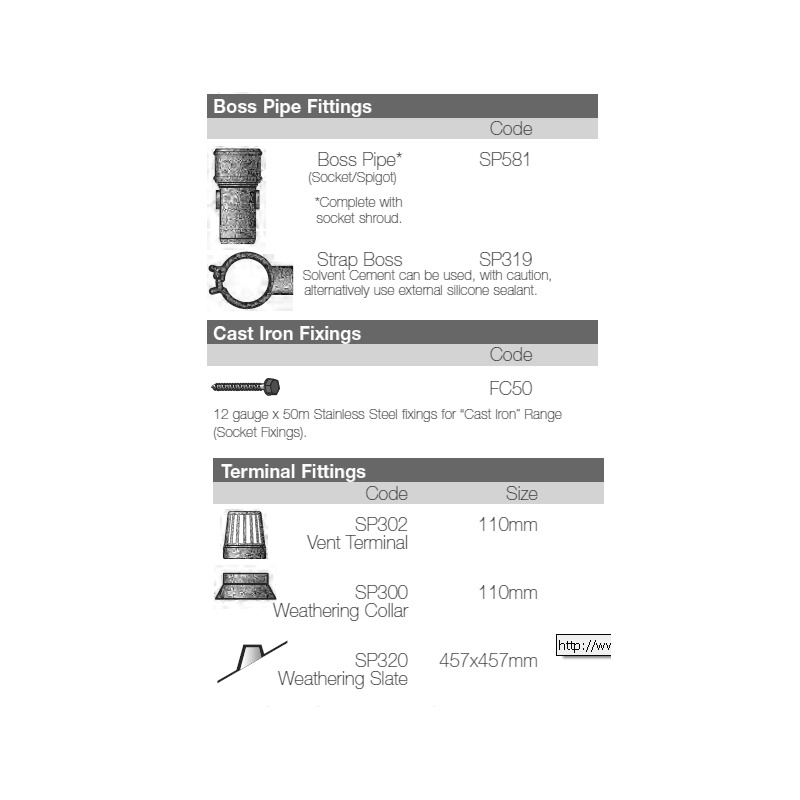 All sockets come complete with a “Cast Iron” Style socket shroud. 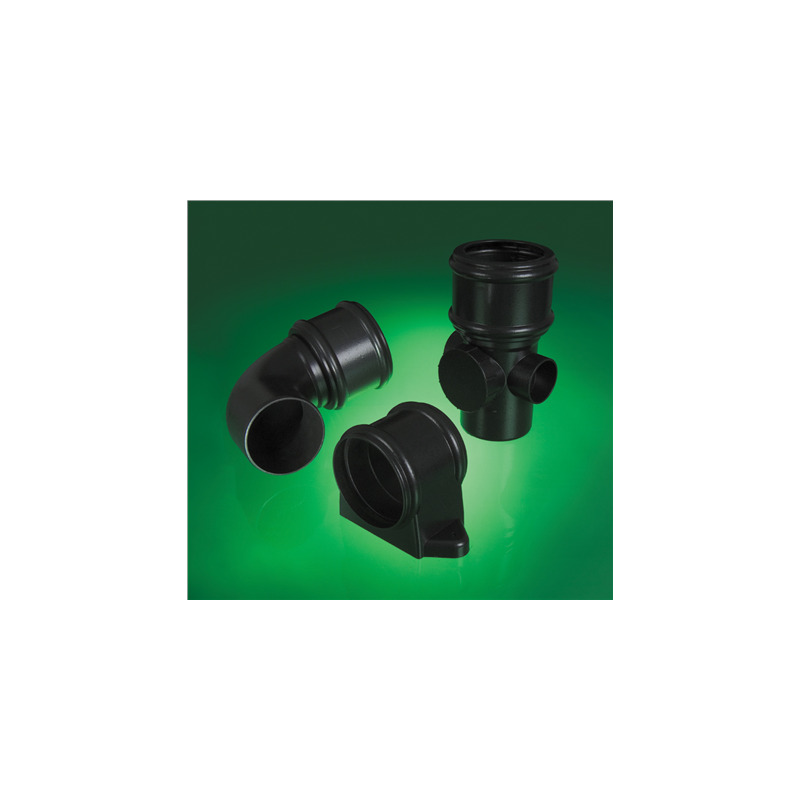 “Cast Iron” Style PVC-U System manufactured to BS EN 1329 - 1:2000, BS 4514:2001. 20 Year Performance and Colour Guarantee. 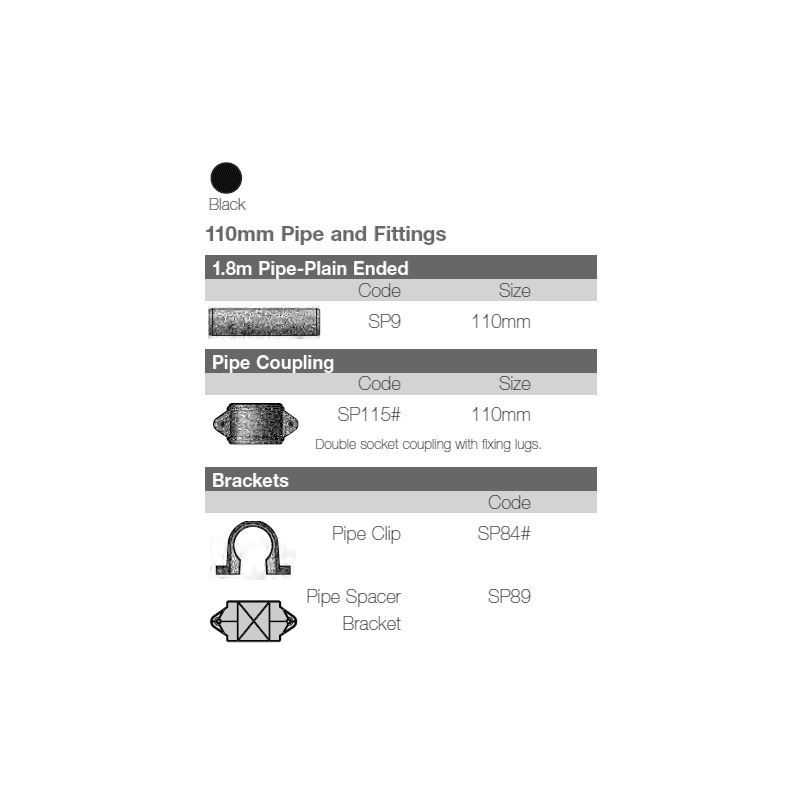 Traditional 1.8 metre length plain-ended pipe. Pipe clips also replicate the authentic cast iron style. 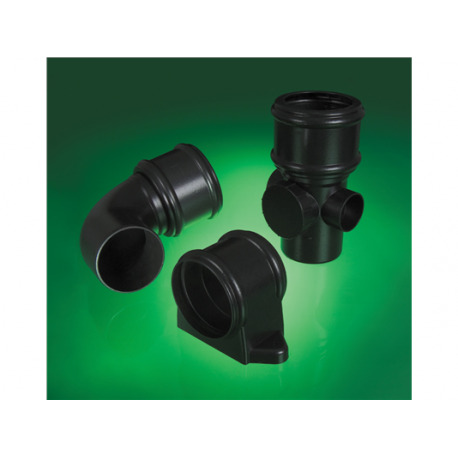 Complements FloPlast’s extremely successful Half Round, Hi-Cap and Niagara “Cast Iron” Style Rainwater Systems.